My first attempt at climbing Pillar ended without attaining the summit. 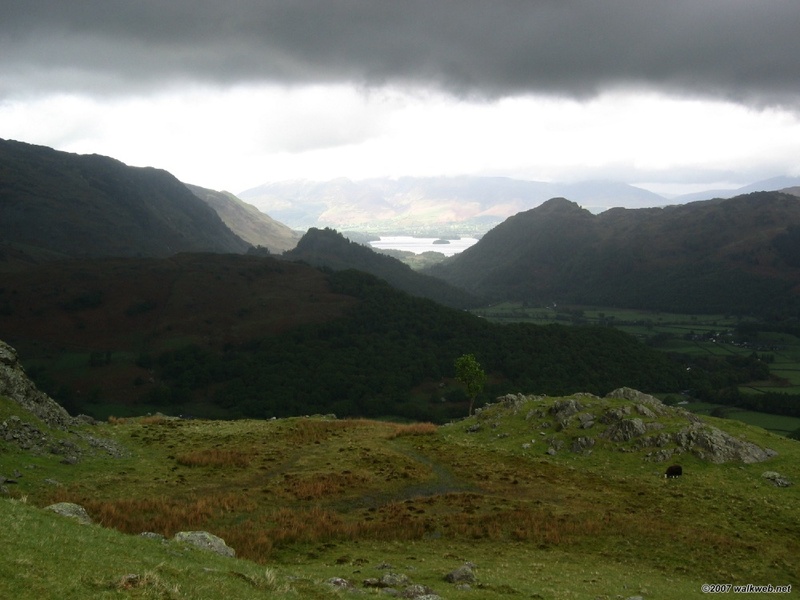 The weather on that day was particularly bad – I ascended initially via the Dorehead screes (not a good idea). 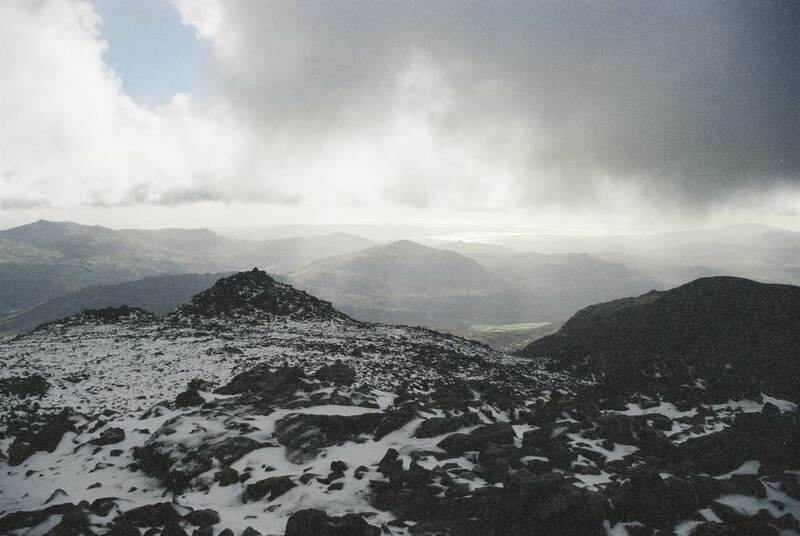 The wind was blowing over the ridge that leads north-west from Dore Head to Red Pike with brute strength, at one point a strong gust from the west blew my legs under me to the east, and I hit the deck. 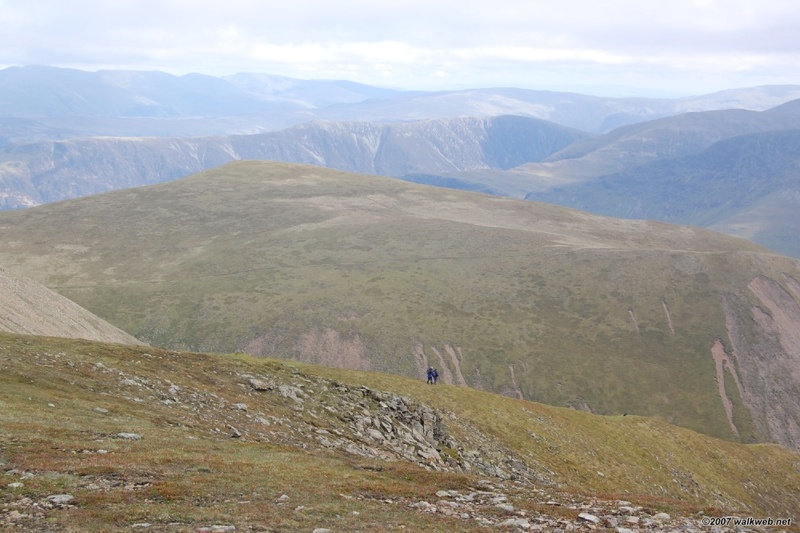 It was also raining – the wind driving the rain into my jacket and through the neck and arm holes so by the time I had reached Little Scoat Fell and started the final ascent to the east, I was cold and wet. 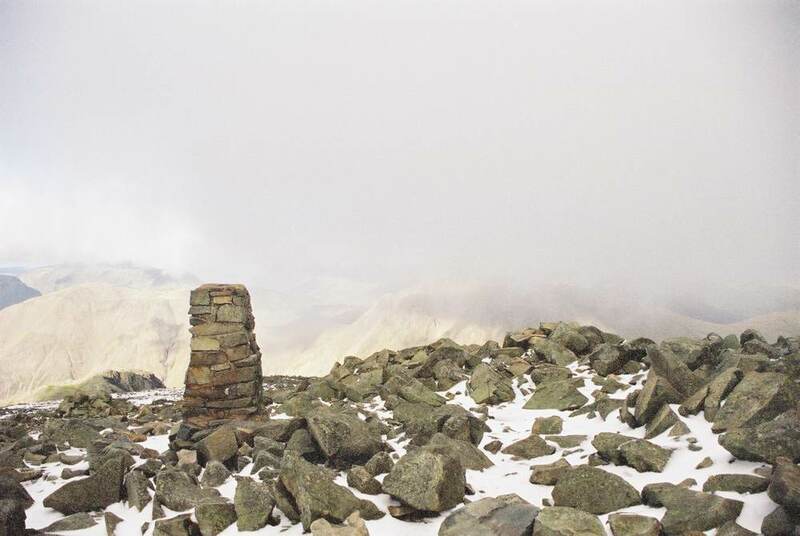 At this point, with visibility down to less than 10 metres, I decided discretion was the better part of valour – leaving the summit to another day I descended down the rough footpath that cuts between Green and Elliptical crags, back into Mosedale and a very welcome late lunch at the Wasdale Head Inn. 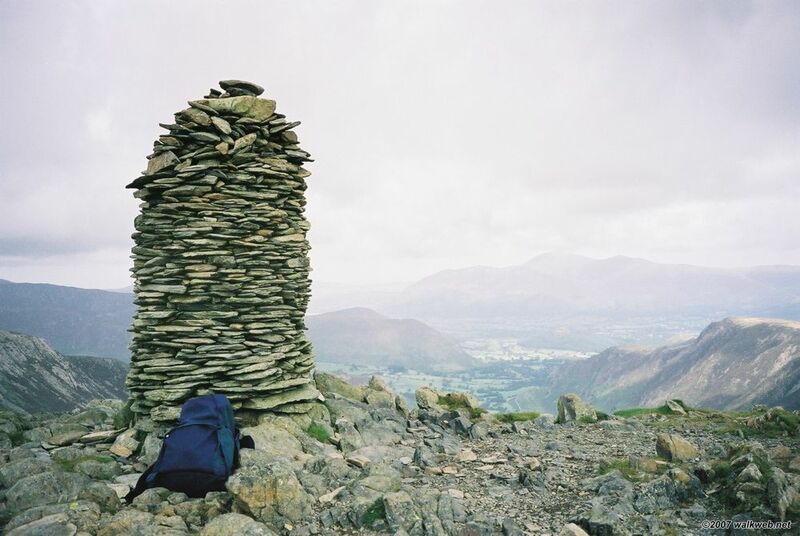 I eventually climbed Pillar a few years later. As it happens, the weather was still fairly ordinary on the day (hence the lack of decent photos), but nowhere near as bad as the first time. 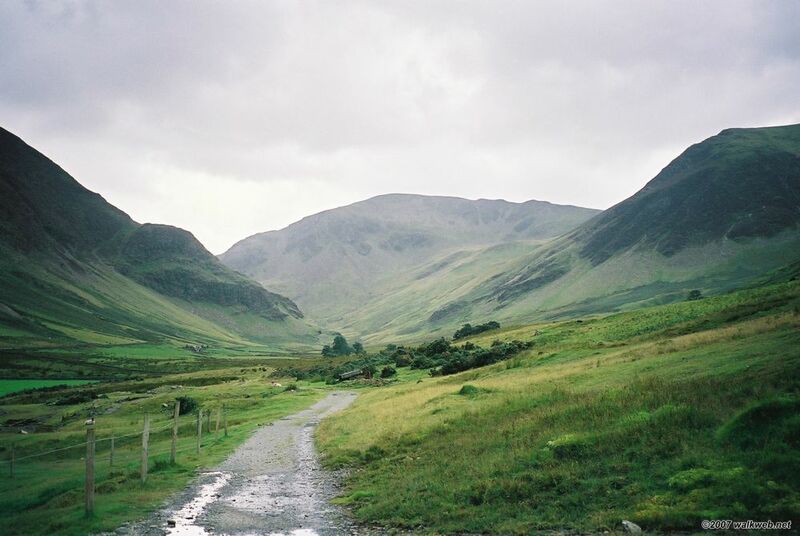 The route we followed starts at Wasdale Head, following the bridleway that pushes north into Mosedale to the east of Mosedale Beck. 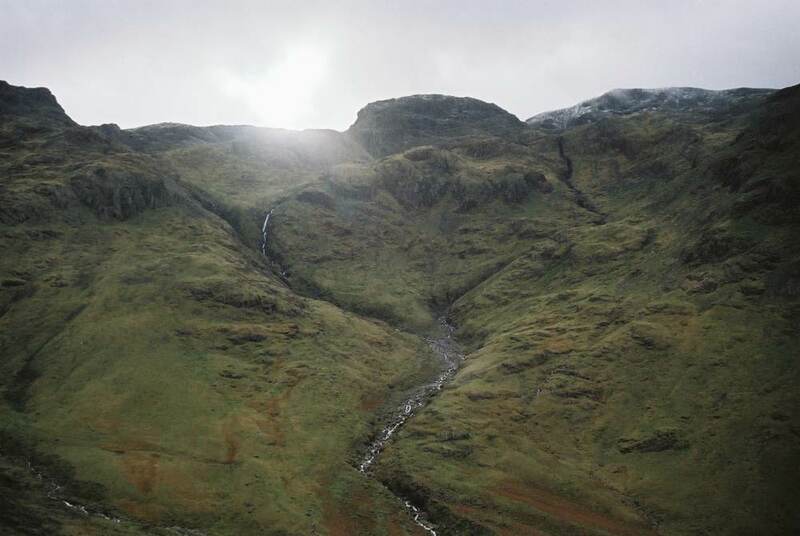 After a junction with a path that continues northwards and forms the return of this route (the Wind Gap route – fairly indistinct last time I was there), the bridleway slowly curves to the north east crossing Gatherstone Beck and becoming the Black Sail Pass, eventually attaining the east ridge and a track junction. 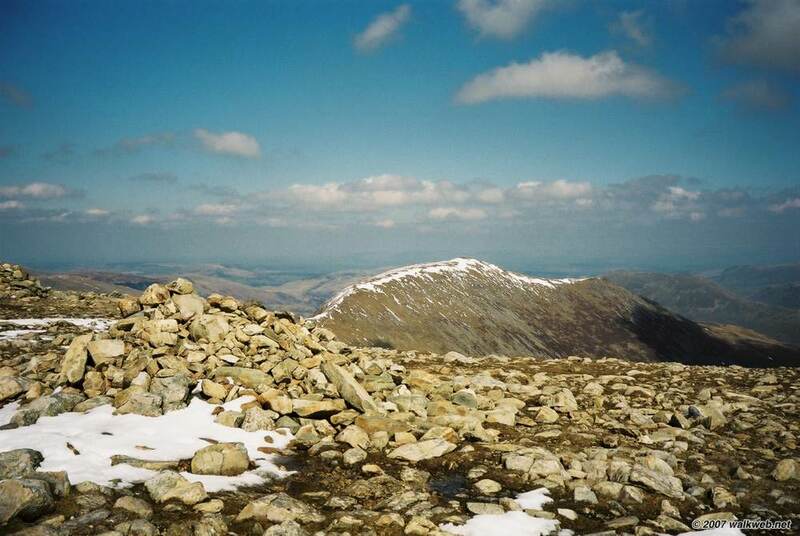 From here the path proceeds westwards, climbing for most of the way before finally reaching the summit. 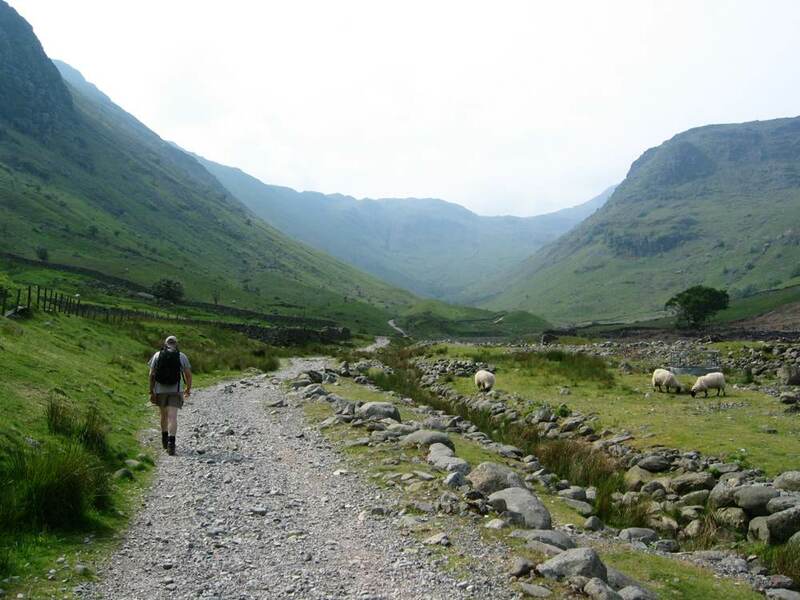 The descent proceeds steeply south-west into Wind Gap before turning south east onto the screes and then a rough footpath that drops down into Mosedale and ultimately joins the bridleway from the start of the walk that leads back to Wasdale Head. 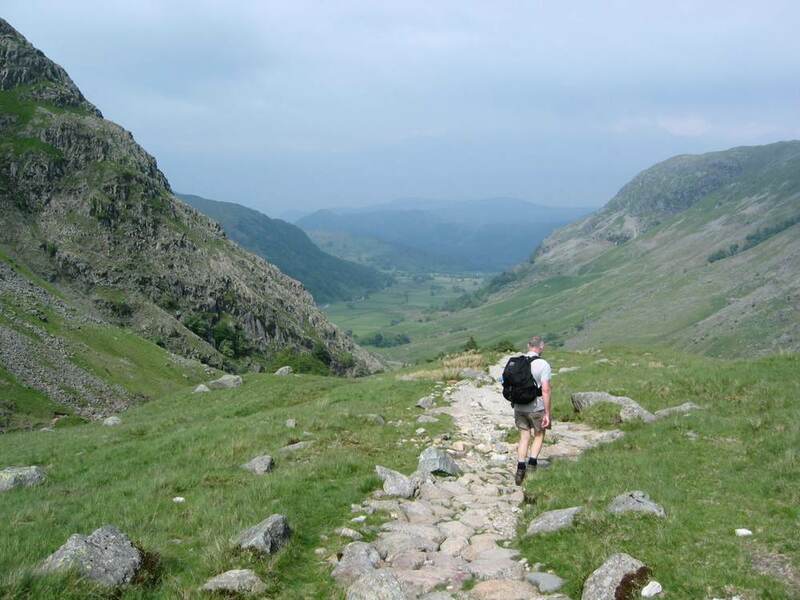 And for what it’s worth, I rank this amongst the best walks in Lakeland as well. The walk starts at the accurately named Little Town, there’s a small carpark just south of the village at Chapel Bridge. From the car park walk back up to the village and then west on to the bridleway that climbs uphill to join a path between Cat Bells to the north (left) and Maiden Moor to the south (right). 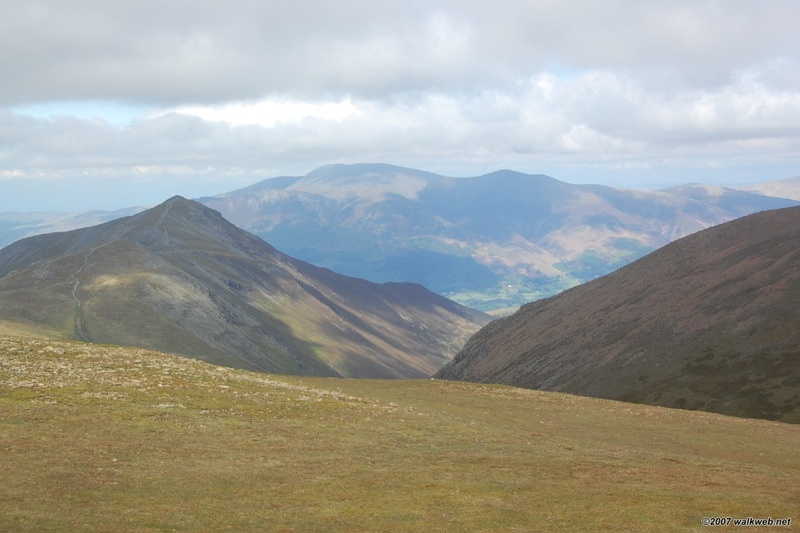 Take the path south to Maiden Moor and continue along the ridge almost due south to High Spy, enjoying the great views into the Newlands Valley and Derwent Water and Borrowdale. From High Spy the track continues southwards, descending to Dalehead tarn; when I was last there the actual path passed to the right of the tarn (the map shows the right of way to the left of the tarn) before a steep uphill pull westwards to the summit of Dale Head. From Dale Head continue westwards along Hindscarth Edge before turning north for the final climb up to Hindscarth. From here, the track descends along an attractive spur to Scope End before executing a u-turn and proceeding south to Goldscope Lead Mine and then turning back north along a footpath back to the start point at Chapel Bridge. The Swinside Inn, up the road to the north, provides an excellent spot for a post-walk beer. 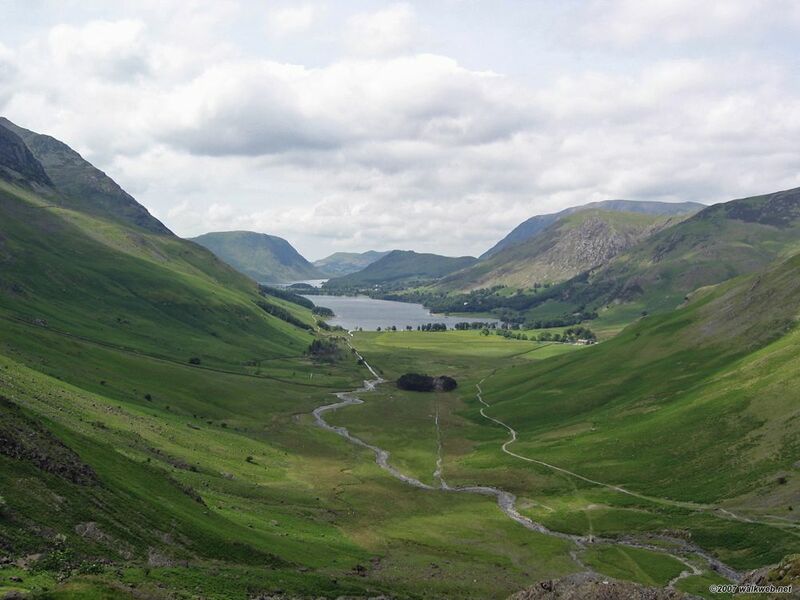 A longer alternative, recommended by Wainwright in his Favourite Lakeland Mountains book, is to start at Hawes End, on the west bank of Derwent Water. 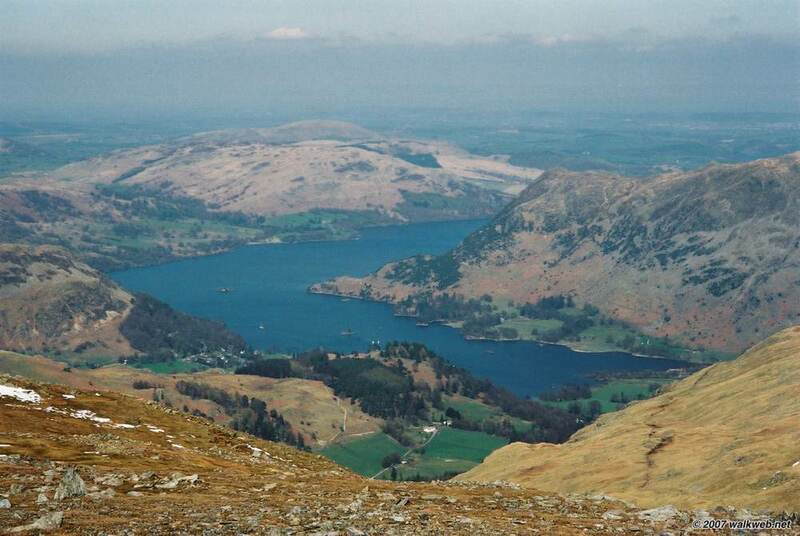 From here you need to head due south up the spur to Cat Bells. 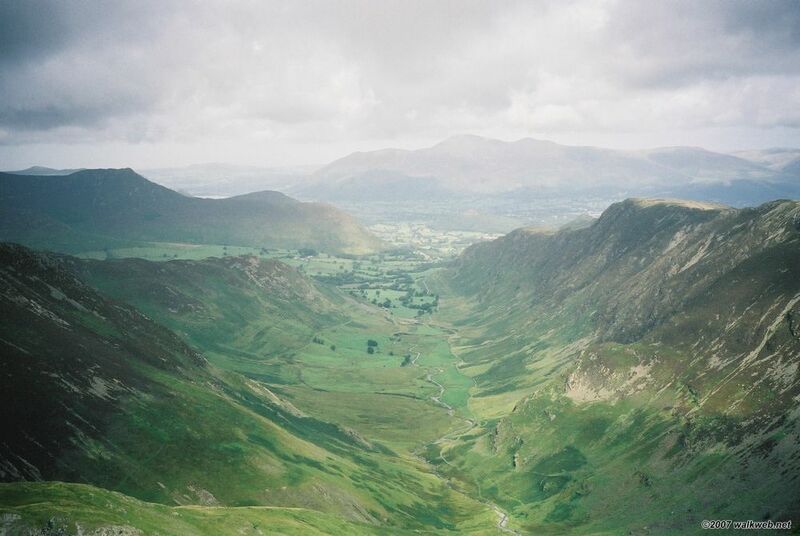 Descending from Cat Bells into the col, you can pick up the track described above. 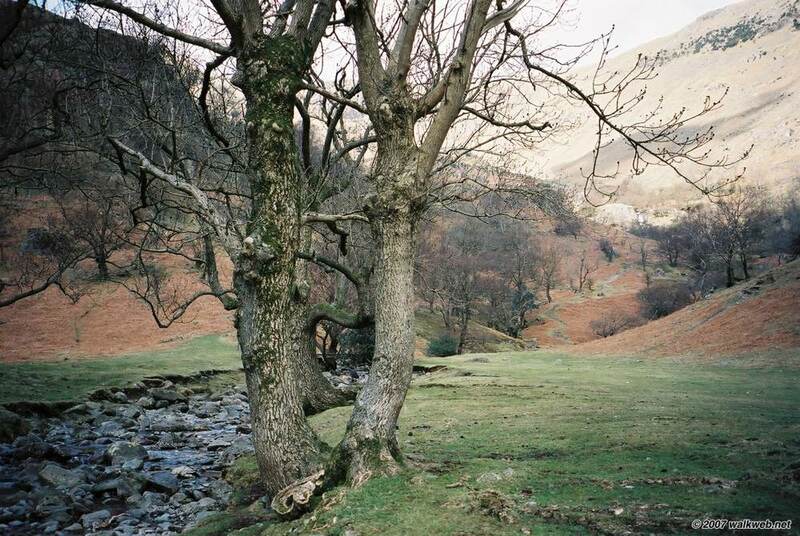 On the return, you would need to continue through Little Town and pick up the footpath that continues on to Skelgill and then the road back to Hawes End. 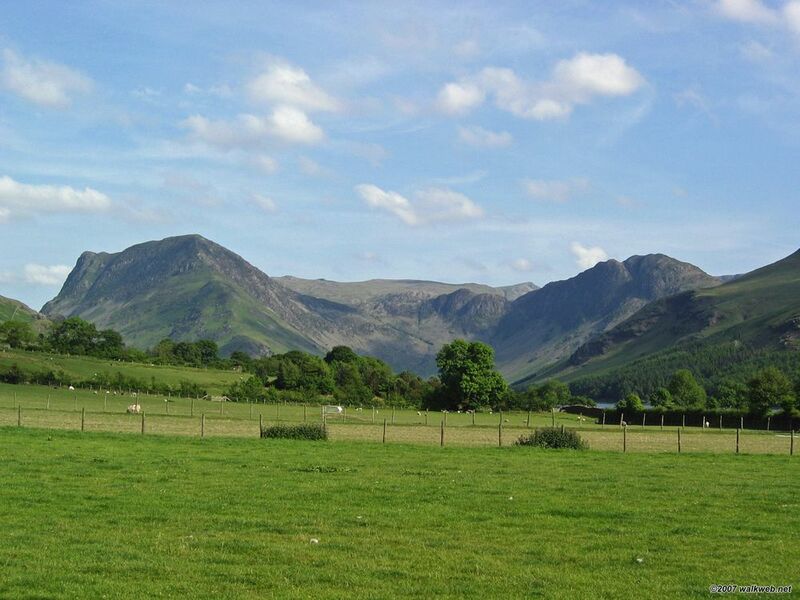 We started this walk from Buttermere on a lovely, sunny summer’s day, following the bridleway that passes through Burtness Wood on the south side of Buttermere. 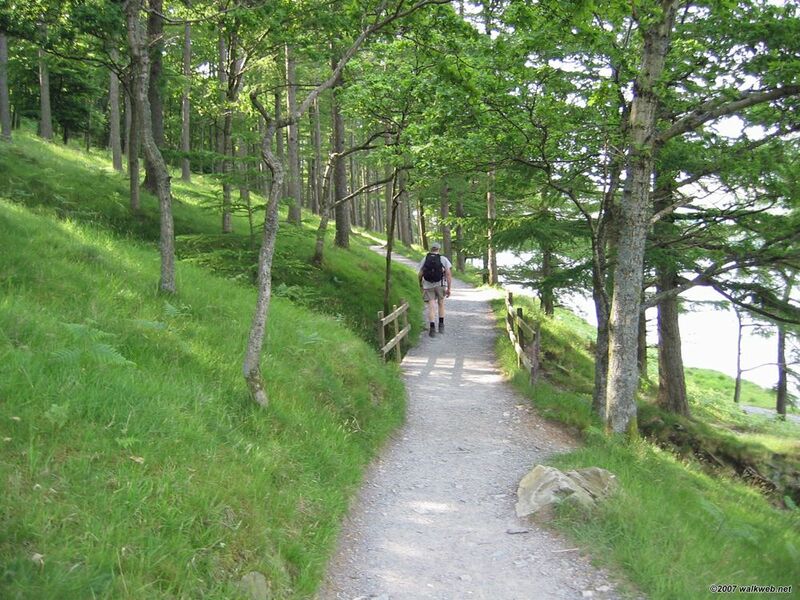 After passing the end of Buttermere the path turns eastwards towards Gatesgarth and then south to Warnscale Bottom. We took the footpath that diverges south from the bridleway and then decided in our wisdom to scramble up by Black Beck which allows entrance to the higher ground through a small breach in the crags, but is not really recommended (better to keep following the footpath that rises to the east of Green Crag). 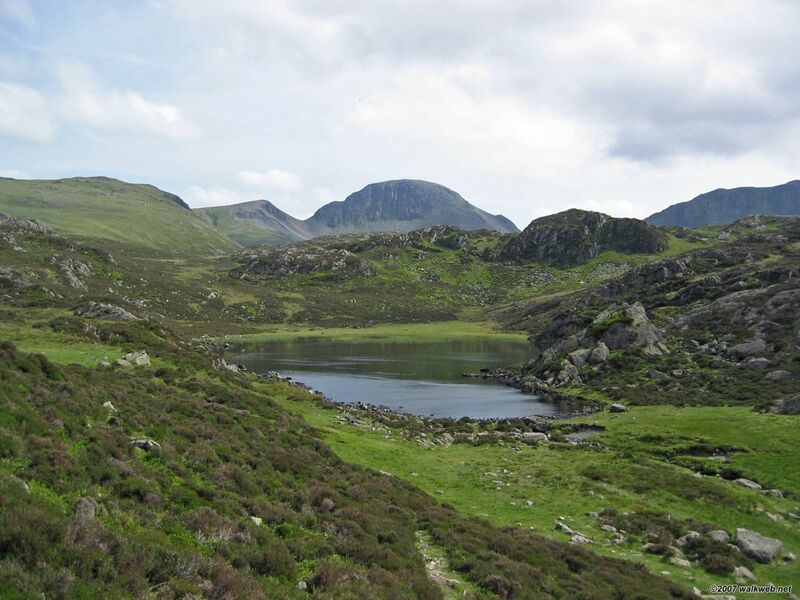 From here it was an easy walk westwards along the tops, past the beautiful Innominate Tarn, to the summit of Haystacks (Hay Stacks on the OS map). Continuing on we reached Scarth Gap Pass, which we followed northwards back to Buttermere and a beer. 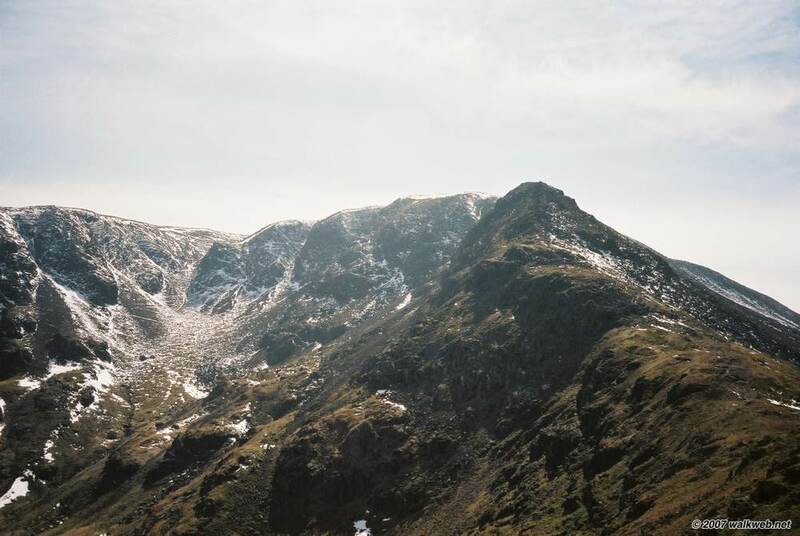 Haystacks was Wainwright’s favourite mountain and his ashes were scattered by Innominate Tarn. I parked at the parking area just north of Rannerdale bridge and decided I would attack the summit by going straight up Red Gill, the route described on page Grasmoor 7 of Wainwright’s guide and quite an obvious route from the road (the photo on the left below has pretty much the same perspective as the drawing in Wainwright’s guide), a decision I started to regret about two thirds of the way up, when the scrambling up the loose screes had started to make my calf muscles feel like they were burning up. 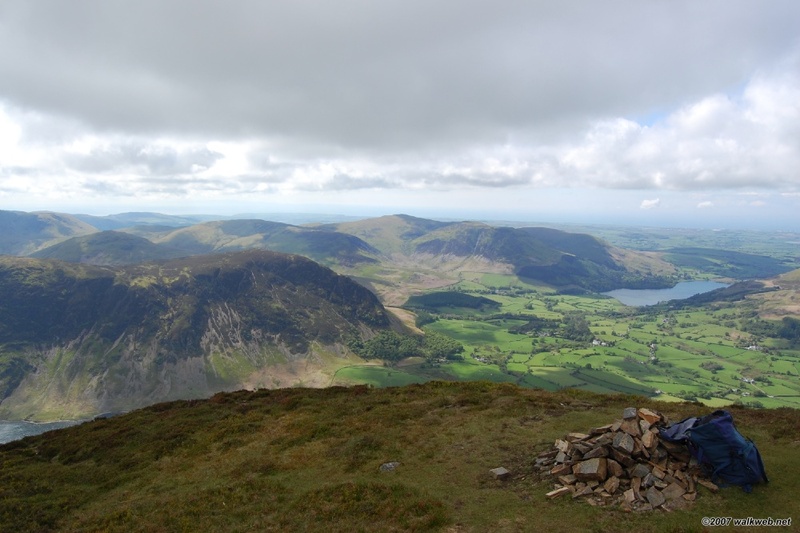 At this point I didn’t have much choice though so it was onwards and upwards and eventually the steep ascent came to a finish and a short stroll west along the grassy tops took me to Grasmoor End and a fine view over Crummock Water. 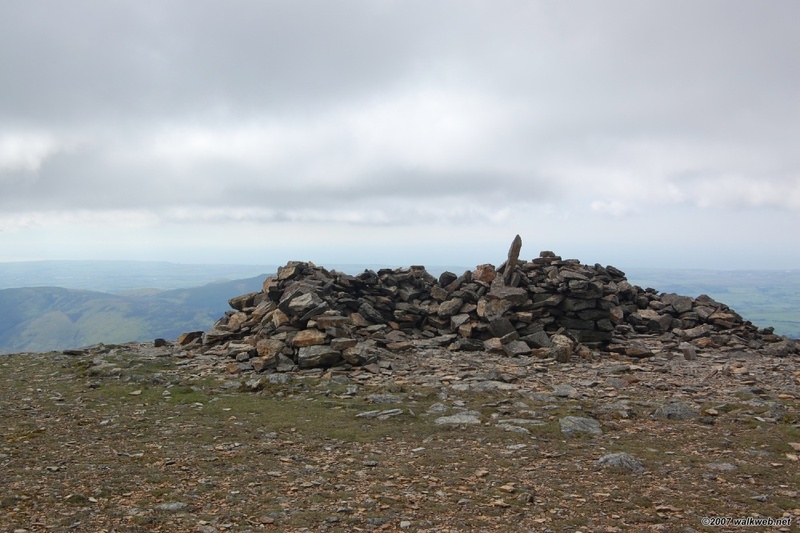 From here it was a straightforward walk east to the summit of Grasmoor for a quick break and admiration of the superb views in all directions, following which I descended via Lad Hows back to my car. 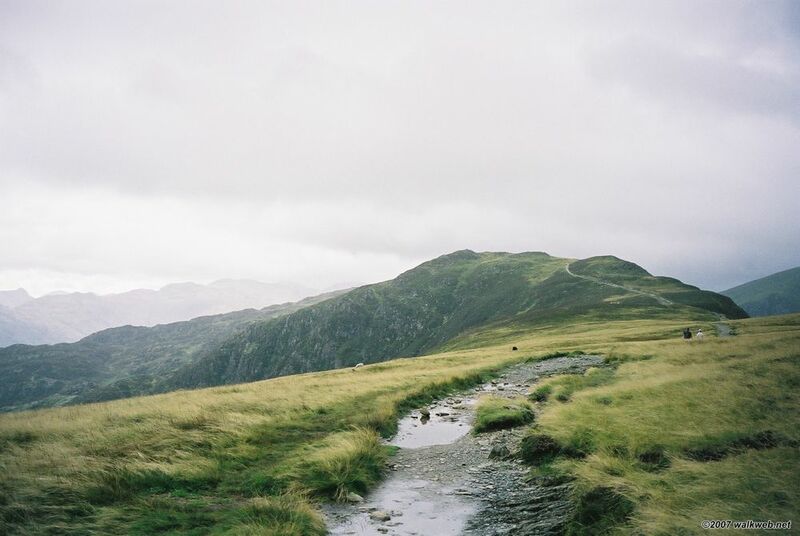 One of the delights of walking in the Lake District (apart from a nice pint of real ale at the end of a walk) is the great variety of landscape within such a small region. 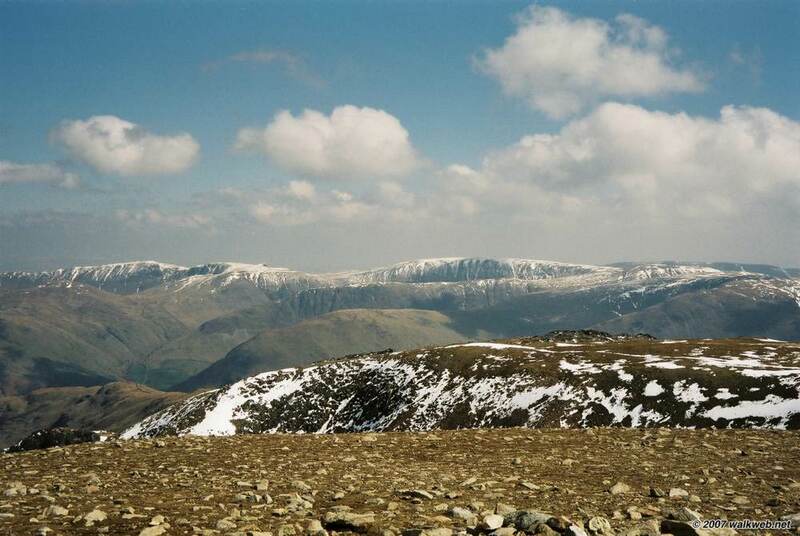 I think the part covered by Wainwright’s “The North Western Fells” may be my current favourite area. 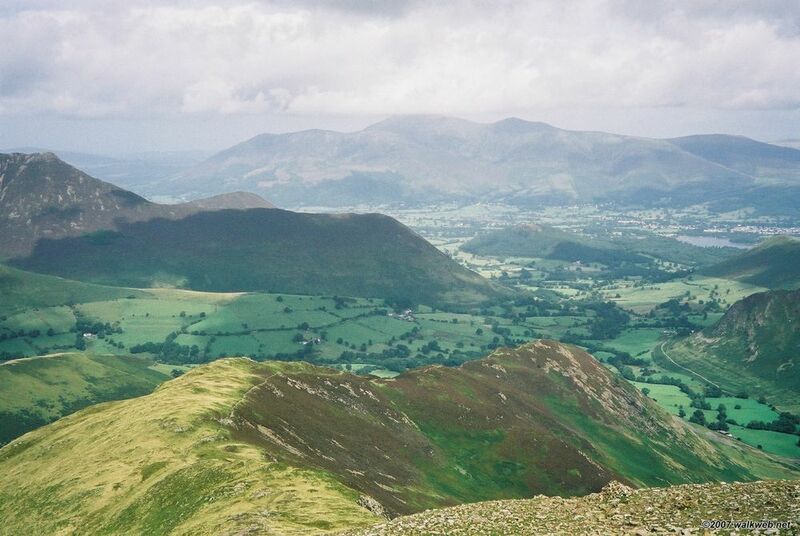 UPDATE: I climbed Grasmoor in 2014 via Rannerdale Knotts, Whiteless Pike and Wandope, a delightful ramble that I describe here. There certainly weren’t any dull moments on this walk, the weather gods had decided to produce one of those days that tests the willpower of even the most determined fellwalker, with a strong wind and pelting rain that barely let up for the whole day. Of course you musn’t grumble (too much). I met an older chap coming down the path as I was on my way up; he remarked that it was “a bit damp”. I started the walk at Seathwaite, parking at the end of the road close to the barns, there being no competition for parking slots on this day. I followed the bridleway south to Stockley Bridge, crossed over and then immediately continued south along the footpath by the side of Grains Gill. 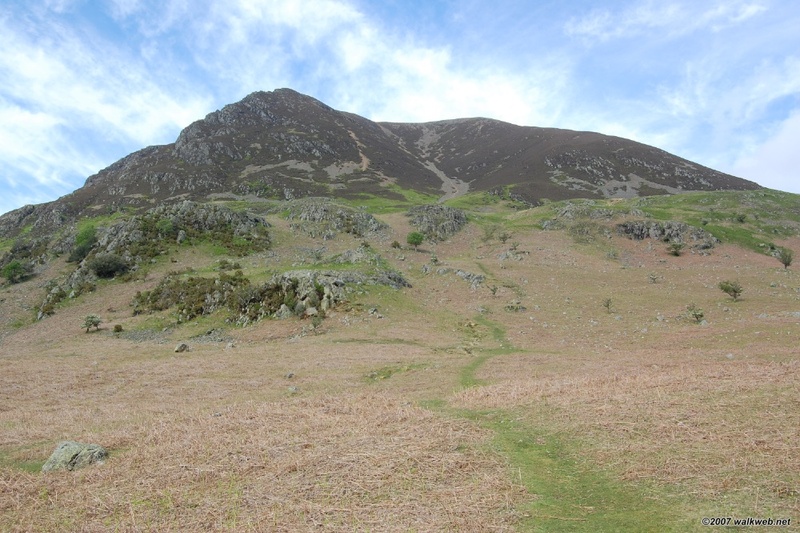 This climbs consistently and eventually reaches a bridleway. Turning south-east I continued on the bridleway for a kilometre or so before turning NNE onto the path that traverses the Glaramara ridge, passing over Allen Crags and by High House Tarn before reaching the summit of Glaramara. After a quick tea break at the summit, I continued along the ridge past Thorneythwaite Fell (the initial descent from Glaramara summit requires negotiation of a rather steep rock section) before descending to a farm track just south of Mountain View and turning south west onto this track, which eventually becomes a path (all part of what is called the “Allerdale Ramble”) that leads back to Seathwaite.